26th to 28th June 2018 pelagic - calm... but with great observations! May 2018 Pelagic - Hard...but we got them all! Great seabirds' list on 1st to 3rd of August pelagic! 12-14th July 2017 pelagic birds' expedition - rough...but a full plate! Nice ending of a successful 2016 pelagics' season! A record of Pterodromas on 28-30 June pelagic!!! 13th-15th June 2016 pelagic: Great seabirds and cetaceans! Petrels, Shearwaters & Storm-petrels = very successful pelagic! Great start for the Madeira Pelagics 2016! Pelagic trip off Madeira 28th to 30th July 2015 - list fulfilled! A Zino's a day (on the pelagic expedition) keeps the stress away! May 2015 Madeira Pelagic Expedition - we saw them all! Zino's Petrels are back to Madeira for 2014 breeding season! Wilson's Snipe - first record for Madeira archipelago! 16th, 17th & 18th July 2013 - a marine mammals pelagic! Zino's Petrels are back to Madeira!!! Despite habitat loss Coots breed in Lugar de Baixo for the 2nd year! Cory's Shearwaters are back to Madeira for 2010! Zino's Petrel Sea Expedition - The best Western Palearctic Expedition! Full days (literally) through Madeira Nature! Narcissist Grey Wagtail - things we find in Madeira Nature! Save Nature, Save the Earth! 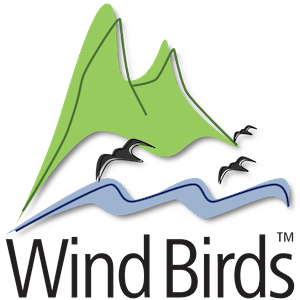 I International Congress "Birds of the Atlantic"
Madeira Wind Birds won "Entrepreneurs of the Future"